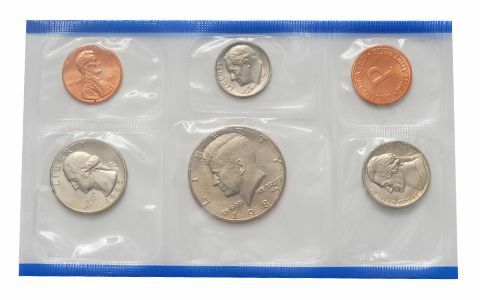 The mintage was slightly less than it was in 1984, so the rarity is very similar to the 1984 Mint Set. 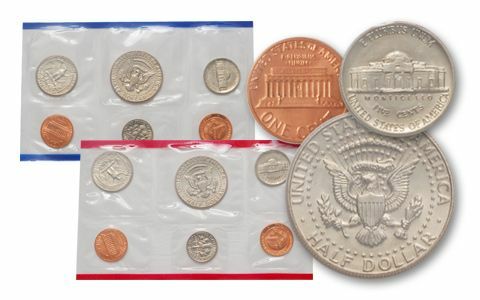 About the sets: The coins in the 1985-PD Mint Sets were Uncirculated pieces pulled from regular production runs, thus the quality of the individual coins varies widely from set to set, and even within a set. 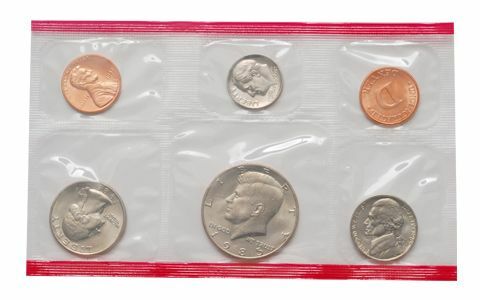 Original packaging: The 1985-PD Mint Set consisted of two pliofilm packs. 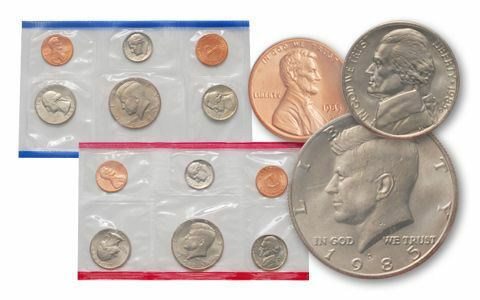 The first one contained the Philadelphia Mint coins and a Cent-sized token with a large "P" (for Philadelphia), while the second pack contained coins from the Denver Mint, plus a token with a large letter "D." The pack containing the D-Mint coins was edged in red; the pack containing the P-Mint coins was edged in blue. 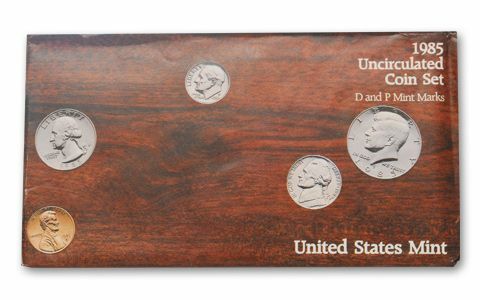 The two pliofilm packs and a card listing the specifications for each were then sealed in officially inscribed mailing envelope with a woodgrain background. Coca-Cola's new formula received a lukewarm reception, prompting a quick revival of the "Classic" flavor. Dr. Robert Ballard found the wreck of the RMS Titanic. Rock Hudson died of complications from AIDS. Terrorists hijacked two planes and a luxury cruise liner in separate actions. Michael Gorbachev became leader of Russia following the death of Konstantin Chernenko.